In the past few weeks, I’ve had some pretty awesome feedback in each subject. I wanted to share some. I had an opportunity to demo class at the Cicotti Center last Monday night. In order to get a good read on whether what I do would work for the group, they had me demo to an example of the actual group, which is really the best way to go about it. We did an hour DDP Yoga session framed around the Level 1 workout (which you can only experience from a certified instructor), and the immediate feedback was very positive. 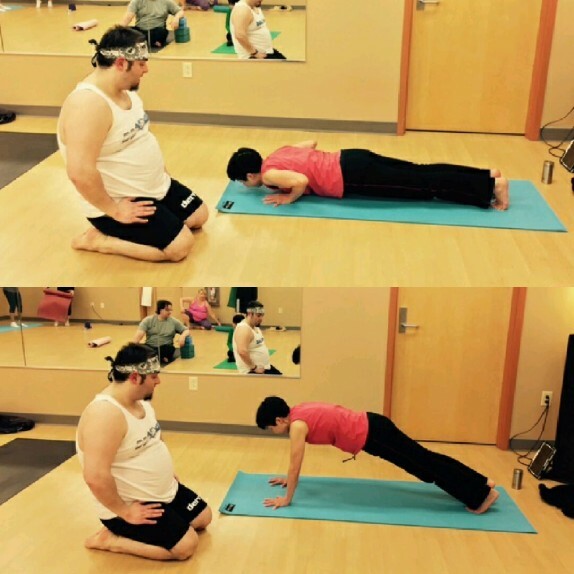 I even had a student approach me after class and ask how I was able to come up from low plank to high plank as easily as I was. I tried to explain that it only appears easy because I’ve been practicing it. I stayed a few extra minutes to point out a few things she should watch and focus on while she practices, and she had it within seconds. I’m looking to add 1-2 classes per week, so I’d love to demo a class if you run a studio, fitness center, or have access to a public space. Since the relaunch, I’ve gotten three “derryX Dines” anecdotes up. Almost immediately, traffic-wise, these posts performed just as well as they did before I took a hiatus, so that’s very cool. As I always have, I’m trying to make sure a good cross-section of places are sampled. In the next few weeks, I’ll have some cool stuff coming. One is a revisit, another is a particular special item at a venerable local bakery, I’ll have info about a burger in a supermarket, some real Mexican food (outside of my area *sad face*), and, of course, surprises. I’ve gotten emails and messages about how helpful the new printable recipe format is. I’m going back through some of the more notable recipes I put up when I didn’t have that and updating them (kind of like the focaccia one). I’ve also gotten very positive feedback about the actual content of the recipes and videos. Awesome! Of particular note is the reaction from Namasté Foods on Instagram. I tagged them in my post promoting the gluten free tiramisu recipe that I used their product to generate. They reposted the picture, which was super awesome! And then a couple of days later, they reposted my picture of a gluten free pizza I posted in progress using their crust mix. As much as it’s a great feeling to just be re-posted, it’s really an opportunity to reach a different audience, and that’s cool with me! This is really where miscellaneous things that come to me will be expressed. Sometimes they’ll be composed ideas (like my lament over lack of respect of the buffer seat). Other times, they’ll be random thoughts in no particular order. And, very soon, I’m bringing back one of the most popular regular features this website has ever seen. Unfinished business, if you will. OMG. I have an unfortunate experience where this applies. My fiance and I were watching Mad Max: Fury Road at Crossgates, and we had the buffer in between us. Where else was I supposed to put my purse and our popcorn, on the floor? To my right, a group of unchaperoned teenagers came and sat right next to me. No buffer. About 40 minutes into the movie, the one in the seat next to me threw up, and much of it got on my feet. GROSS!!! The theater was practically empty.